Many people have questions about various aspects of their pet's surgical experience. Here is some information to help answer the most common questions. Today's modern anesthetic drugs and monitors have made surgery safer. Here at Alpine Veterinary Hospital, we do a thorough physical exam on your pet before administering any anesthetic medication. We adjust the amount and type of anesthesia used depending on the health of your pet and the procedure to be performed. Blood testing before surgery ensures that the liver and kidneys can handle the anesthetic and may reveal any previously undetected organ dysfunction. We offer different levels of in-house blood testing before surgery, which we will go over with you when you bring your pet in. Our doctors prefer comprehensive screenings because it gives them the most information to ensure the safety of your pet. For geriatric or ill pets, additional blood tests, electrocardiograms or x-rays may be required before surgery. It is important that anesthesia be administered on an empty stomach to reduce the risk of vomiting. You will need to withhold food for at least eight hours before surgery. Exceptions are made for very young animals (under six months) or very small dogs (less than eight pounds). Water can be made accessible for the pet until the morning of surgery. For many surgeries, we use absorbable sutures underneath the skin. These will dissolve on their own. However, some surgeries, especially tumor removals, do require skin stitches. With either type of suture, you will need to keep an eye on the incision for swelling, heat or drainage. Many dogs and cats do not lick excessively or chew at the incision site, but if they do, they may need a special collar to prevent this. If skin sutures are used, these are removed ten to 14 days after surgery. You will need to limit your pet's activity level for one to two weeks depending on the procedure. Baths and swimming are not permitted for the first ten days after surgery. How do you address my pet's pain? Pain medications will depend on the surgery performed. Most animals will be given injectable medications while they are here and may be sent home with specific anti-inflammatory and/or pain medications after surgery. It is important that you only administer the prescribed medications and not give aspirin, Tylenol or other human medications to your pet. 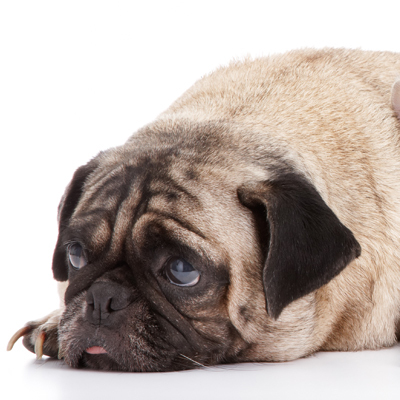 If you have concerns or feel that your pet needs more medication, please contact us.